More than any other facial feature, the eyes have a tremendous impact on your appearance and are the first to show the signs of aging. They tell people whether you are happy, sad, energetic or tired. If you believe your eyes are making you look tired, then eyelid surgery may be right for you. In some cases, the upper eyelids may sag to such a degree that the patient’s field of vision becomes impaired. For these individuals, plastic surgeon James Matas, MD can perform eyelid surgery to restore full range of vision. Typically, candidates for eyelid surgery include men and women in their 30’s to 60’s who are bothered by loose skin along their upper or lower eyelids, puffy lower eyelids, and/or the presence of dark circles. Candidates may also have obstructed vision caused by drooping or sagging upper eyelids. For a certain segment of individuals, cosmetic eyelid issues are not related to aging—some younger candidates may have inherited these genetic characteristics. Ideal candidates for eyelid lift surgery must be in good overall health, avoid smoking for several weeks prior to and after surgery, and have realistic expectations regarding their results. The best way to determine if you are a candidate for eyelid surgery is to schedule a consultation with Dr. Matas. Candidates for eyelid surgery may also consider treatment with BOTOX® Cosmetic injections to address frown lines and crow’s feet that eyelid surgery can not correct. He will examine your eyes, assessing the quality of your skin, and may have you make some facial expressions to determine the cause of the problem. He may also review photographs of you at an earlier age to see how the aging process has affected you. He will recommend the exact procedure, or procedures, needed to bring about the desired result, outlining the techniques and incisions needed, the type of anesthesia, where the surgery will be performed and the risks and possibility of complications. He may also recommend non-surgical injectable treatments to enhance the surgical outcome. Once a surgical plan has been decided, you will also be provided with the financial details, along with a suggested plan of action should you decide to take the next step toward eyelid surgery. Surgery can be performed separately on the upper eyelids or lower eyelids—or both the upper and lower lids can be done together. With upper eyelid blepharoplasty, an incision is made to the inside corner of the upper lid and is then extended across the lid along the natural fold, or crease. From this incision, excess skin and fat is carefully removed. This incision line is hidden by the fold, and it will not be visible. For patients with impaired vision caused by eyelid laxity, Dr. Matas will ensure that the full range of vision is restored. 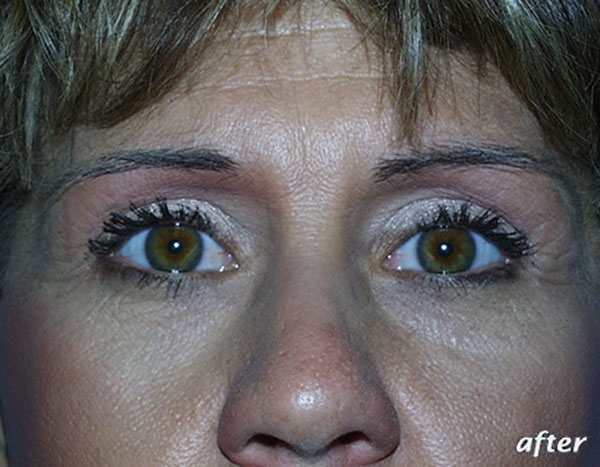 With lower eyelid blepharoplasty, an incision is made just below the lower lashes. Through this incision, excess skin and fat are removed. Excess fat can also be repositioned to restore lost volume at the tear troughs. At times, when the muscle is causing too much thickness, a section of the muscle is removed. In some patients, the underlying muscle is also tightened. 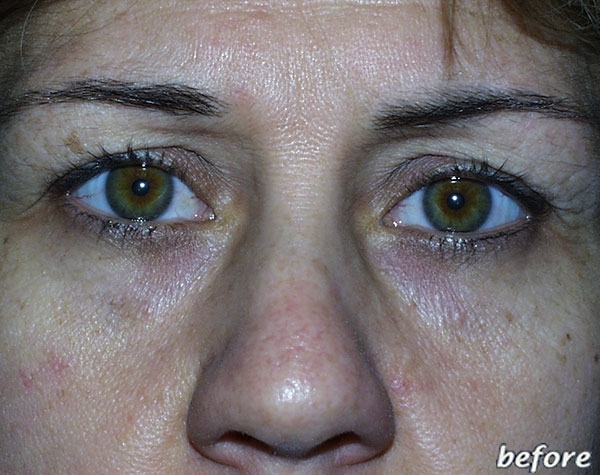 When the lower eyelids only need fat removed, a transconjunctival blepharoplasty is performed. In this procedure, the incision is placed inside the lower eyelid so there is no external incision. Surgery is performed as an outpatient procedure under intravenous sedation or general anesthesia and takes approximately 1-2 hours. If additional procedures are performed at the same time, surgery will take longer. You will be discharged with cold compresses over your eyes. You may experience temporary blurred vision created by the lubricant used to protect your eyes, and this will resolve in a few days. You will experience some bruising, swelling, excess tearing or dryness of the eyes, itching and sensitivity to light. These symptoms are usually mild and resolve within the first week. Bruising below the eyes and over the cheeks can be improved with homeopathic medications we provide. You’ll be back to work and most of your normal activities within one week. If necessary, special camouflage makeup can be applied to cover any bruising that remains. You won’t be able to wear contact lenses for several weeks, but glasses may be worn instead. I am so glad that my second opinion consultation brought me to Dr. Matas for eyelid and forehead lift surgery. As soon as I spoke to you I knew you were very skilled and I knew I wanted you to be my doctor. Your office is very sweet and kind and smart! Every time I look in the mirror and smile, I think of you. I will never forget you! Dr. Matas uses techniques during eyelid surgery that are designed to create a naturally refreshed appearance, rather than an “overdone” look. After the healing process is complete, you can enjoy smoother, more lifted contours around the eyes. Patients typically appear more youthful, well-rested, and energetic after eyelid surgery. If you are considering eyelid surgery and want to see examples of Dr. Matas’s work, please review our photo gallery to view eyelid surgery before and after photos of our patients. During the consultation process, Dr. Matas will thoroughly discuss your cosmetic concerns and design a custom surgical plan aimed at achieving your desired results. Are there any risks associated with eyelid surgery? As with any surgery, some risks are involved. Asymmetry and overcorrection are the most common cosmetic risks that patients may face with an inexperienced plastic surgeon. To deliver the highest quality results, Dr. Matas uses his expertise to carefully plan each procedure and follow every safety precaution—which minimizes the chance of undesirable results. During the initial consultation, Dr. Matas will thoroughly discuss all risks associated with eyelid surgery. The incisions used for eyelid surgery are placed discreetly to conceal any scarring. During upper eyelid surgery, the incision is placed within the natural crease of the eyelid—which keeps it hidden. Depending upon the needs of the patient, the incision used for lower eyelid surgery can be placed just below the lash-line or along the inside of the lower eyelid. In most cases, these incisions are barely visible or completely camouflaged once the healing process is complete. 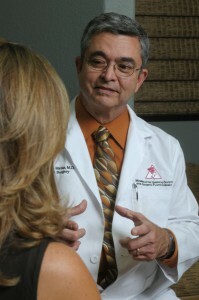 Dr. Matas customizes each eyelid surgery to address the unique needs and goals of the individual. Consequently, the price of eyelid surgery varies based on the details of the surgical plan. One major factor that determines cost is the scope of the procedure—whether the upper eyelids, lower eyelids, or both sets of eyelids are being operated upon. The overall complexity of the procedure and additional costs, such as the anesthesiologist’s fee, can also impact pricing. The total cost for your customized eyelid surgery will be provided at the end of your initial consultation. Qualified patients can take advantage of plastic surgery financing options offered through CareCredit®. CareCredit® provides low monthly payment plans and low-interest loans that can make any elective procedure more affordable. Will my health insurance plan cover the cost of eyelid surgery? Insurance plans do not typically cover any of the cost of a procedure performed for cosmetic reasons; however, if your upper eyelid surgery is deemed medically necessary (due to obstructed vision), all or a portion of the cost may be covered. Most insurance providers require medical documentation (pre-authorization) to prove the surgery is necessary prior to the date of your procedure. If you would like assistance navigating the benefits of your health insurance plan, a knowledgeable member of our staff can help walk you through the process. Your friends, family and coworkers won’t even know you had eyelid surgery unless you tell them – although many will probably remark that you look alert and refreshed. But you’ll know each time you look in the mirror… because there will now be a much younger person looking back at you! For more information about eyelid surgery, we encourage you to contact the Advanced Centre for Plastic Surgery for a consultation with Dr. Matas. During your appointment you can ask Dr. Matas any questions you may have, and find out if the eyelid lift procedure is right for you.